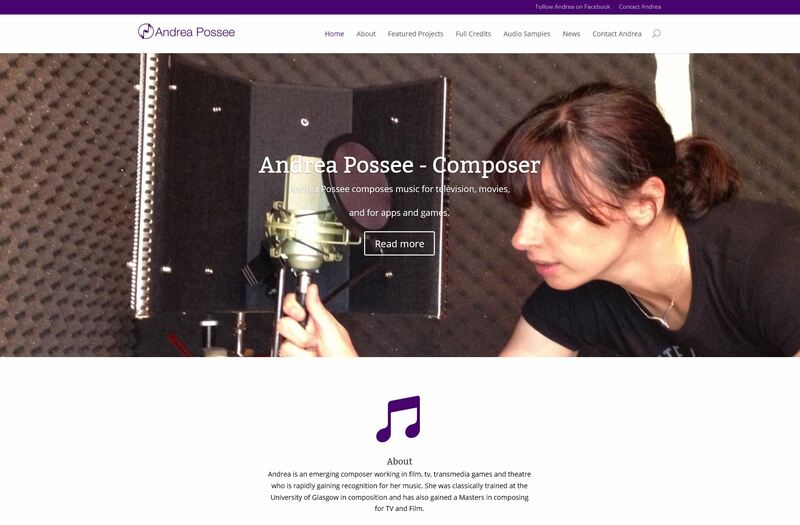 We’re delighted to be able to launch the new web site for Film, TV, and app composer, Andrea Possee. The site, built in under two weeks, features samples of Andrea’s work, testimonials, credits, a dynamic and vibrant portfolio (for featured projects), and a section for news and project updates. The site is built to be responsive, scaling between computers, tablets, and phones. The homepage is delightfully active, with animations, parallax effects, and subtle motion effects as you scroll down the page. We designed the homepage to get across Andrea’s personality, and a flavour of her work, with testimonials and featured projects showcased right on the home screen. We’ve worked with Andrea ourselves. She composed the music for two of our apps and games, Zombies Ate My City and Timedancer, so we were thrilled to be asked to work on this project. You can visit the site at http://www.andreapossee.com. For more about our web site design services, please visit our services section.